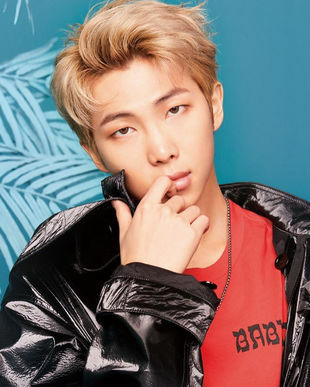 “The first rule is to love ourselves,” RM told TIME in a recent interview. “Life has many unpredictable issues, problems, dilemmas. But if you admit it... I think the most important thing to live well [is to] be yourself. We’re still trying to be us.” To that end, they’ve just concluded a sequence of albums based on the theme of self-acceptance — albums which have clearly hit a chord with their global audience. 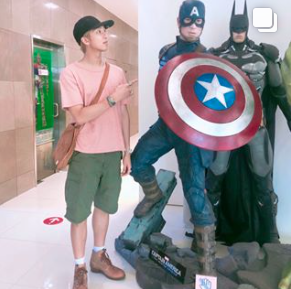 The name BTS was originally an acronym for “Bangtan Sonyeondan,” which translates roughly to “Bulletproof Boy Scouts” in English from the original Korean (방탄소년단), a reference to resilience. But BTS decided to rebrand their name in 2017 to now mean “Beyond the Scene.” Who are all the BTS members? 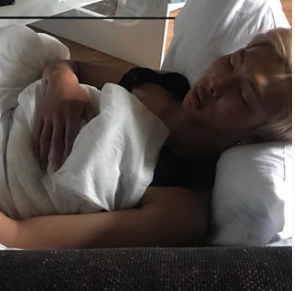 The official leader of BTS, RM was the first member scouted by BTS founder Bang Si-hyuk; he was an underground battle rapper at the time. 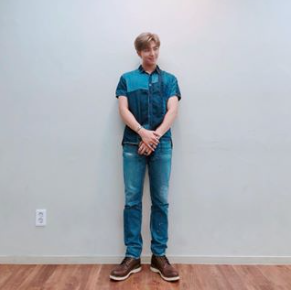 He’s known for his rapping — he’s collaborated with artists like Wale and even was the first of the group to release his own rap mixtape — and is also the only member of BTS who speaks English, which he taught himself by watching all the seasons of Friends. 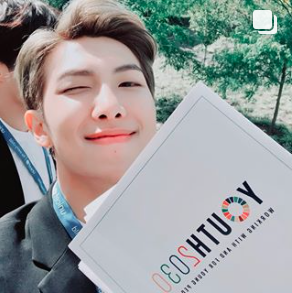 In September, he delivered an English-language speech to the U.N. General Assembly in New York City supporting youth empowerment initiatives. 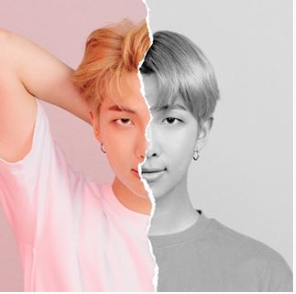 “No matter who you are or where you’re from, your skin color, your gender identity, speak yourself,” RM said in the speech. 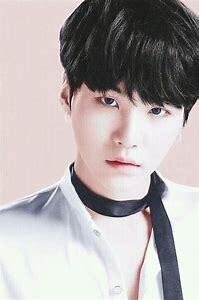 Starting as an underground rapper as a teen with the stage name of Gloss, Suga got his current moniker from early years spent playing basketball. 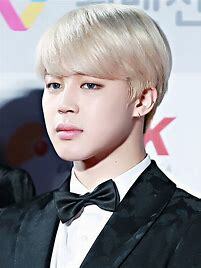 (It’s an abbreviation for “shooting guard.”) Suga is known for his rapid-fire rhymes. 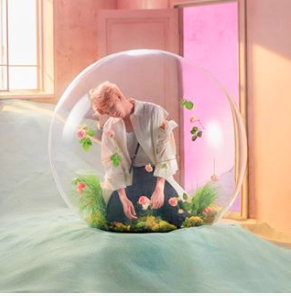 He’s also happy to be vocal about everything from mental health to politics, especially on his 2016 mixtape Agust D. He also is a producer, having contributed to award-winning songs on other artists’ projects as well of many of BTS’s own tracks. 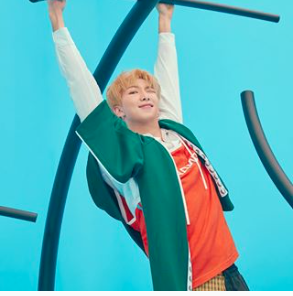 The third member to be tapped to join BTS after RM and Suga, J-Hope — stylized as j-hope — was first known for his dancing; he was part of an underground dance crew in his home province of Gwangju. 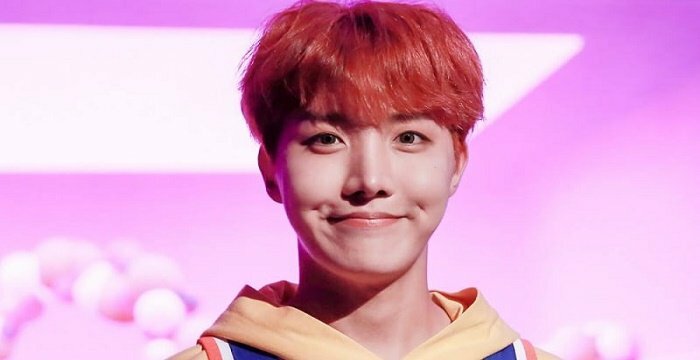 But since becoming a part of the boy band, J-Hope expanded his skill set to include rapping and songwriting, with credits across the BTS discography. 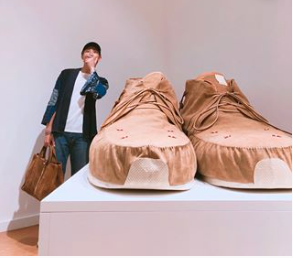 He also released his own mixtape in March, Hope World, which charted independently on the Billboard 200 and shared his signature message of optimism and peace. He’s vocal about his love of fashion, too, telling TIME he loves to shop when he visits new cities. 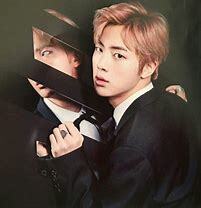 After stepping out of a limo at the Billboard Music Awards in 2017, a candid snapshot of Jin caught the internet’s attention. 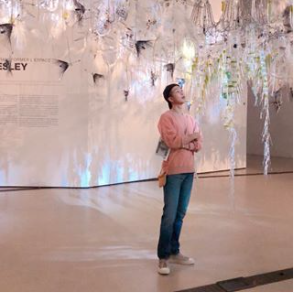 The result: he now often goes by the fan-given moniker “Worldwide Handsome.” He was initially scouted on the street in South Korea before ending up in BTS. An amateur foodie, Jin garnered his own audience early on with a popular food vlog, Eat Jin, in which he posted candid videos of himself — and sometimes his bandmates — eating home-cooked meals (and sharing their opinions, of course). V is the R&B crooner of the bunch, known for his smooth vocals that pop on some of the lower-tempo songs from the band. 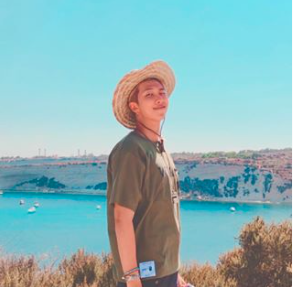 At shows, his standout moment comes when he sings and dances alongside a life-sized puppet of sorts in an emotive, avant-garde duet to his solo song “Singularity.” A songwriter and producer as well, he has also dabbled in acting, and currently has an interest in photography. As the youngest member of the group, Jung Kook fills a special role in K-pop groups called the “Maknae,” referring to his youth — but in BTS he’s been deemed the “Golden Maknae,” giving him kudos for his onstage chops. 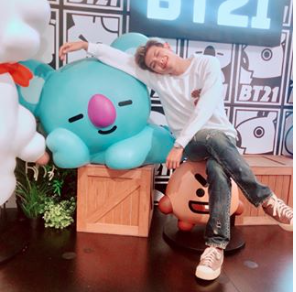 He’s also one of the group’s prime vocalists, appearing on the anonymous South Korean singing reality show King of Masked Singer to surprise and delight audiences a few years ago. He likes to share some of his pen and paper illustrations on social media too. And he loves to perform, telling TIME that now in months off when the group aren’t doing shows, he looks forward to returning to the stage. After bringing together the seven young artists, Big Hit Entertainment’s Bang Si-hyuk first debuted BTS to the world in 2013 with their first album 2 Cool 4 Skool and lead single “No More Dream” to moderate success. They also entered the Japanese market with a Japanese-language version of their single. BTS continued to release albums in Korean and Japanese and to tour Asia over the following years, with a few stops in the U.S. in 2015 for KCON. But it wasn’t until 2016 that they really began to take off internationally, with their Wings EP and, later, the “DNA” music video breaking records. Cracking the Billboard Top Social Artist chart was another major milestone, as they bested social media mainstays Justin Bieber and Selena Gomez for the title; they’ve stayed atop that chart for 95 weeks as of time of publish. They also gained traction in the U.S. market with their Billboard Music Awards appearance in 2017 and a subsequent publicity tour of talk shows. 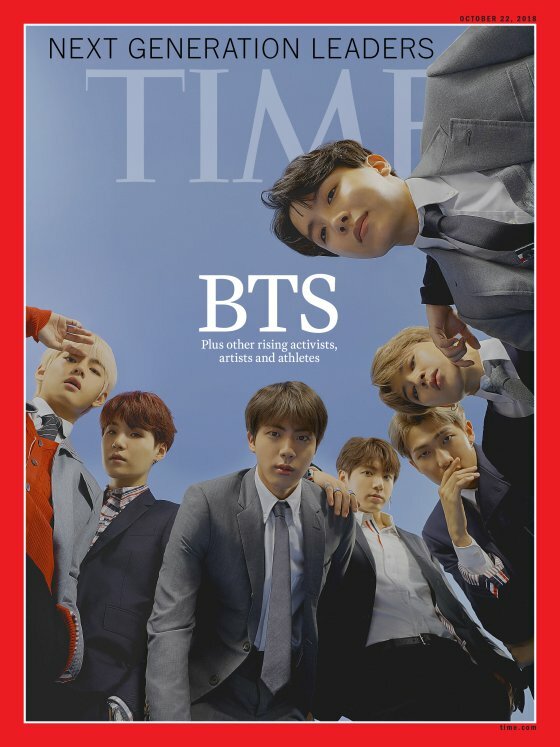 By 2018, BTS had topped the Billboard album chart twice over with their most recent releases (as well as international charts from Japan to Canada), sold out their monthlong fall North American tour, appeared on shows like Good Morning America and The Tonight Show Starring Jimmy Fallon and spoke in front of the U.N. General Assembly to launch a new youth empowerment initiative. If you’re new to BTS, their hits are a good place to start: “DNA,” “Blood Sweat & Tears” and “MIC Drop (Remix)” are a powerful introduction to their high-energy hip-hop-meets-EDM style, while others like “Go Go” and “Airplane pt.2” explore their ability to incorporate different sounds into the repertoire. Slower jams like “Magic Shop” and “The Truth Untold,” meanwhile, are more soulful. For deep cuts, look to the rap mixtapes that RM, Suga and J-Hope have dropped — each with a distinct flavor. In five years, BTS has released half a dozen Korean and Japanese albums, plus a number of compilation albums, reissues and EPs; their most recent project was the extensive Love Yourself: Answer and their most recent single, “Idol,” even got a remix featuring Nicki Minaj. Answer and their previous album both topped the Billboard 200 chart, a feat mark for the genres on the U.S. charts, while “Idol” and their other singles have also made it to the Hot 100. 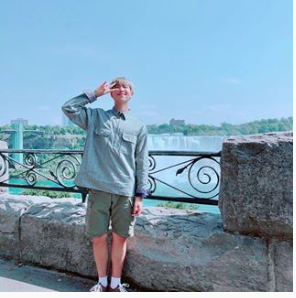 ARMY stands for “Adorable Representative M.C. for Youth, but also touches on the unified support of the fan group. 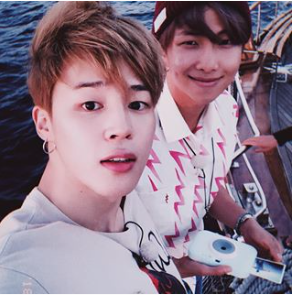 ARMY are known for their mobilization to support the group during album, song or video release cycles, in online polls like TIME’s own Influential on the Internet list and at any point during a promotional appearance. When BTS appeared on U.S. talk shows recently, for instance, ARMY tweets helped propel the band to trend worldwide. In fact, BTS were 2017’s most-tweeted-about celebrities. 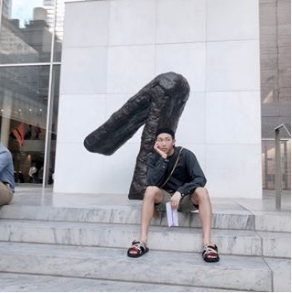 Some fans are also often ready to camp out for hours — and even overnight — in advance of BTS shows or appearances. And BTS’s North American shows, merchandise, and albums can sell out quickly. Their label took a more hands-off approach to their social profiles than is typical in K-pop, which helped them to develop online presences people can bond to. Over the years, they’ve even become a Guinness World Record holder for most Twitter engagements for a music group. Like many avid fan bases ARMY documents the concerts extensively, but also is quick to turn funny faces or snapshots into memes that get shared around the web. 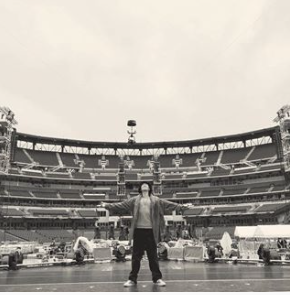 After their monthlong sojourn around North America this fall performing at sold-out shows, including a final performance at New York’s Citi Field, BTS is moving on to Europe for the next leg of their world tour. You can snag BTS tickets and prepare to buy BTS merch at their next stops in the Netherlands, Germany, France and Japan, where they have show dates lined up through February, with more dates to come.